Happy Tuesday! Today is a great GroopDealz day! Lots and lots of fun spring colors to remind us that, although it may not feel like spring will ever get here, it is definitely coming! 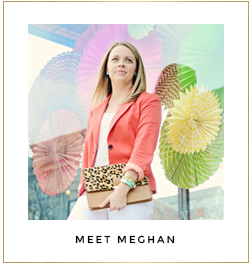 I don't know about you, but I am definitely in a rut and over this winter, so I am ready for spring to be here ASAP! If you're looking to spruce up your spring wardrobe, don't miss today's steals from GroopDealz. 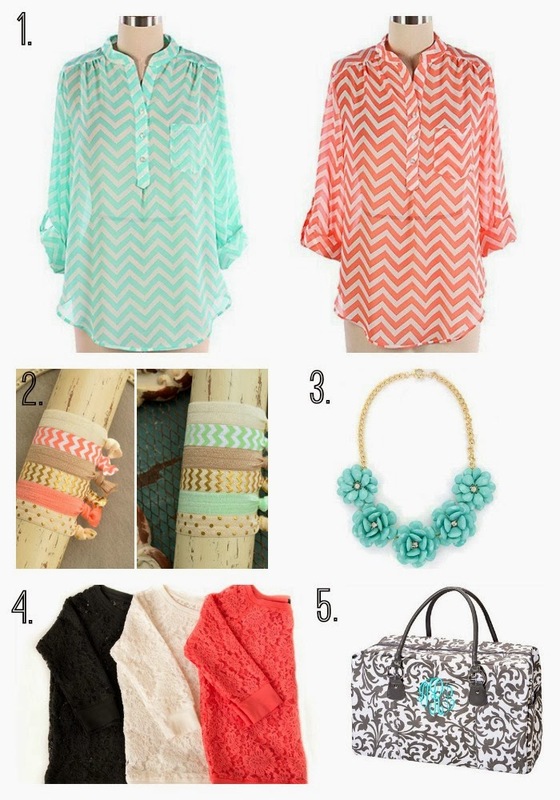 I snatched up that coral chevron blouse right away. Totally made the fact that another polar vortex is coming slightly better. One day, I'll wear it....one day. And that monogrammed weekender tote totally has me dreaming about packing up for weekends at the lake! By the way, I am still in love with my beaded rose necklace from J.Crew last year and decided to get the J.Crew Factory version in yellow when it came out recently. Well, these pretties come in 19 colors (including yellow) and are only $6.99 - total steal! And while you're at it, don't miss those spring chevron and gold hair ties! At only $4.99, they are a must and such a fun way to add some style to your pony! What are you dreaming about for spring?